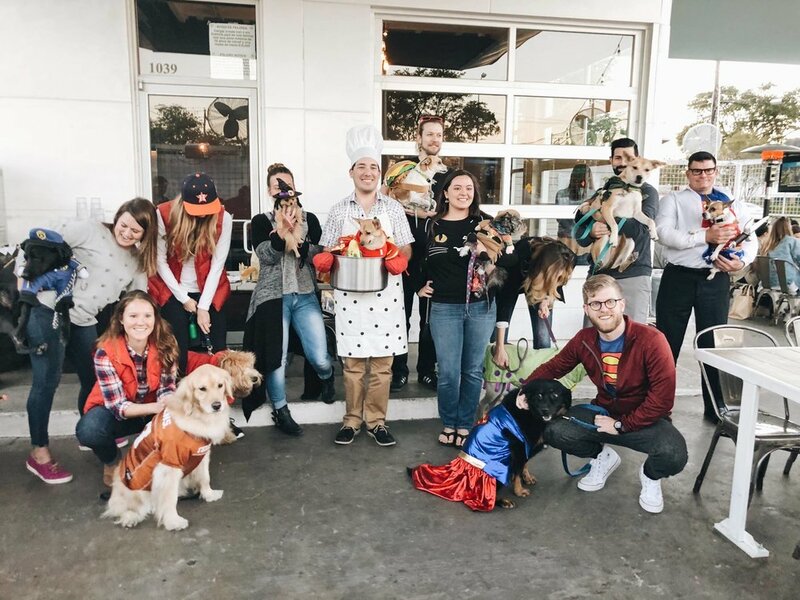 We're hosting our 2nd annual pup costume contest! All you humans have to do to enter your dogs is bring pet food to be donated to Rescued Pets Movement. The winner will receive a $50 gift card to Eight Row Flint and a basket of goodies for their dog, but who are we kidding? We all just want to have a good time and watch cute, costumed furballs strut across the Eight Row patio. Judging will begin at 5pm. To enter, please email Christina@eightrowflint.com with owner’s name/pet’s name and a costume description, or please arrive early to enter the day of the competition. All entries will be judged on Originality and Creativity. Two representatives from the Rescued Pets Movement will be the judges! Runner up: $25 Gift card to Petco.